There's little doubt that computers and smartphones have become two of the most used electronic gadgets today. This is evident from the fact that those whose work involves computers are very often found juggling between their phone and PC. While there's no major problem in that per se, frequent switching between phone and PC does result in wastage of time, and not to mention the distraction it causes to the user, which in turn affects their work. But before we proceed, please keep in mind that all the examples, commands, and instructions mentioned in this tutorial have been tested on Ubuntu 14.04 LTS, and the AirDroid version that we've used is 4.0.0.1. 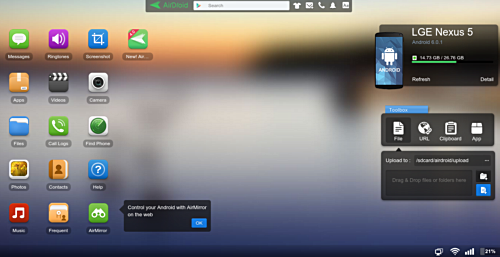 Sadly, there's currently no AirDroid desktop client available for Linux, but the good thing is that you can still setup AirDroid on Linux through the service's Web client. 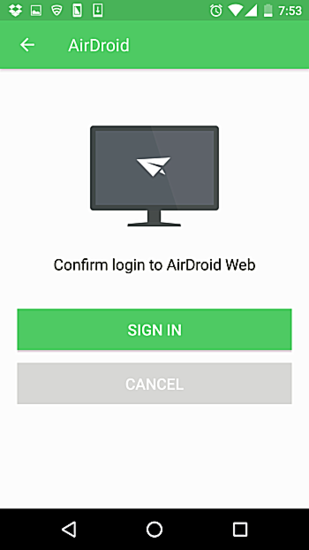 We'll come to this a bit later, but before that you need to install the AirDroid app on your Android phone, which - needless to say - is a primary requirement. The application is available on the Play Store - you can download/install it by heading here. Once this is done, please make sure that both your PC and phone are on the same network. Now, open the AirDroid app on your phone, and click the barcode scan icon (the square shaped one with a horizontal line in between) on the top-right. This will open up your phone’s camera, using which you’ll have to scan the barcode present on the web URL you’ve opened on your PC. 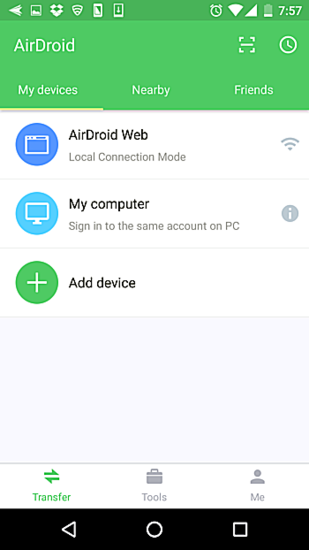 Just click the SIGN IN button, and you’ll see that the Android Web entry on your device’s screen says "Local Connection Mode." And on your PC, you’ll see that information related to your device appears (LG Nexus 5 in my case). 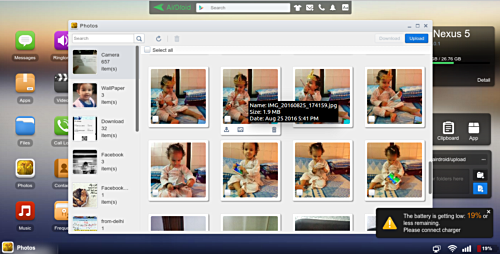 You can even capture screenshots of your phone from the Web client. 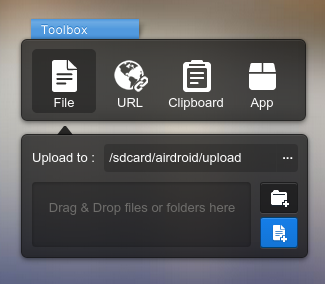 The Toolbox that sits on the right bottom of the AirDroid Web interface is another extremely useful tool, letting users upload a folder or file from the PC directly to the phone, quickly open a Web URL in the phone’s default browser, copy text to the handset’s clipboard, and more. Another useful feature AirDroid offers is the ability to view notification of phone calls, SMS, and apps on the AirDroid Web interface on your PC. 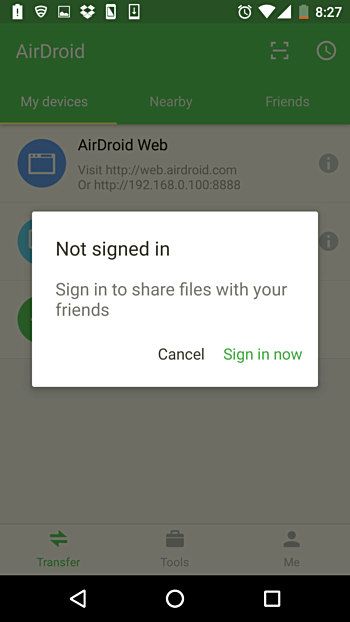 AirDroid also lets you find your phone from its web client, but you need to have an AirDroid account for that. "Same to AirMirror to our desktop client, the AirMirror feature in the web client allows you remotely control your Android device. You can now chat using your favorite mobile messaging app or continue playing the mobile game to have better gaming experience, all on the web!" Sounds exciting, right? So, let’s set it up. 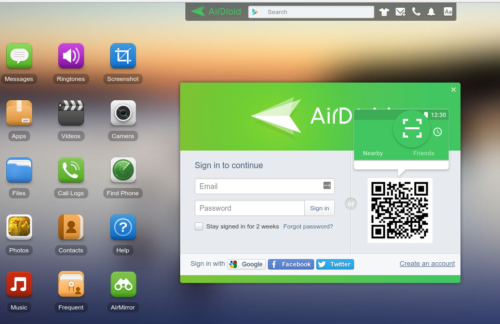 First you need to create an account with AirDroid, something which you can do by heading to the tool’s official website. 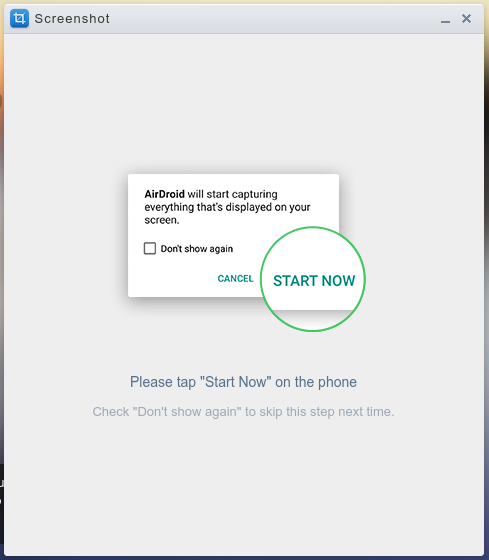 Once done, launch the AirDroid Web interface again, and then sign-in on your device by tapping the My Computer entry in the My devices menu. Once the sign-in process is successful on your handset, head to the AirDroid Web interface, and click the icon named AirMirror. You’ll see that doing this brings up a notification that says you need to first download a plugin (a Chrome browser plugin as I am using Google Chrome) of the same name. 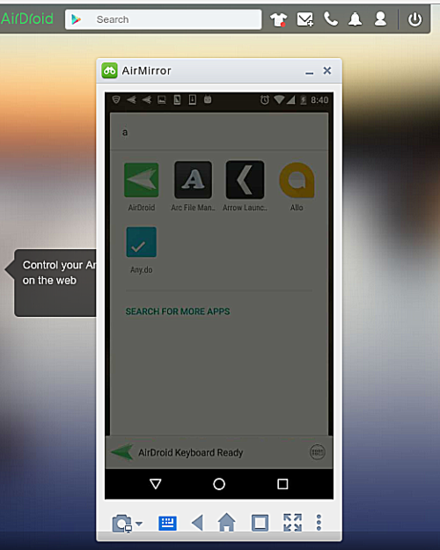 For the curious bunch among you, this plugin is required for the AirMirror feature to work with non-rooted Android devices in AirDroid Web. 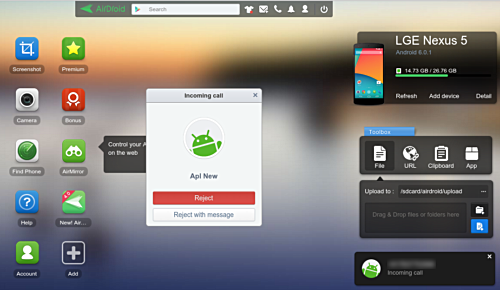 Install the plugin, and perform the other steps that the setup process asks you to do (including enabling USB debugging mode on your phone and the connecting it to your PC using a USB cable), and you’ll see that the feature will get activated, meaning your phone’s screen will get mirrored on the AirDroid Web interface. The best thing about this mode is that you can navigate your phone using the mouse attached to your PC, and even perform actions (like opening/closing apps) through mouse clicks. Needless to say, you can use your PC’s keyboard for writing purposes as well. 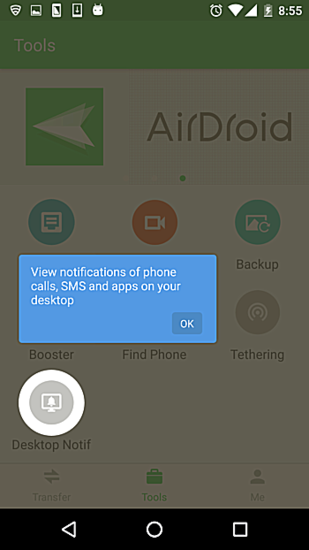 As most of you’d likely agree, AirDroid is an extremely useful tool if you want to control your Android phone from your PC. What sets it apart from the other similar apps is its professional look and feel as well as the plethora of features it offers. And not to mention that it’s completely free to use. Word of caution: Unfortunately, the app has recently been in news for all wrong reasons. Yes, we praised the app in this tutorial, but we feel that it's our responsibility to inform users about all the aspects of a software that we know. Do go through the details of what's wrong with the app, and then decide whether or not you want to go ahead with its download, installation, and use. I am truly delighted to glance at this blog posts which includes plenty of valuable information, thanks for providing such information.